Riot police clear 18th and Mission streets after someone set a couch on fire. Photo by Rigoberto Hernandez. Despite concerns that the San Francisco Police Department’s reform process would atrophy following the sudden withdrawal of the U.S. Department of Justice, the police department’s new overseer — the California Department of Justice — appears to have stepped into its new role with poise. The Cal DOJ in December found the SFPD to be “not in substantial compliance” with several recommendations initially made by the U.S. Justice Department and later modified by the Cal DOJ and the Chicago-based risk-management consulting firm Hillard Heintze. Many of the areas in which the SFPD was found wanting are substantive. They concern the prohibition of a dangerous chokehold once used by SFPD officers; the SFPD’s communication and reporting systems around officer-involved shootings; and informing the public about how to report officer misconduct. The review was summarized in a Dec. 28 letter from the Cal DOJ to Chief Bill Scott. It found the department to be out of compliance with six of the 13 recommendations mentioned in the letter. The 2016 federal review of the department made 272 total recommendations in the wake of several controversial police shootings and a scandal in which officers exchanged racist, homophobic, and sexist text messages. More than two years later, the police department is still working to meet the recommendations. The Cal DOJ noted that it could not sign off on several key areas because it has been presented with little or no proof that the SFPD is reviewing and critiquing itself. “… because several of the packages that were submitted to us do not currently contain a plan or any information concerning review loops or audits, the Cal DOJ is unable to designate some of the recommendations as being substantially compliant,” wrote Nancy A. Beninati, the supervising deputy attorney general. David Stevenson, the SFPD’s director of strategic communications, said in an email that addressing the recommendations is an ongoing process. The late Julius Turman, who was Police Commission president when the U.S. Department of Justice ended its involvement with the SFPD’s reform initiative, was not in favor of the Cal DOJ picking up the job. Crew was mildly reassured by the letter, calling it “a relatively early find, but a good find.” But for the California DOJ really show its commitment, “there needs the possibility of a stick” — which, Crew said, would mean the Cal DOJ taking the city to court if the SFPD does not comply. Much ado about nothing. That said, not a single person mentioned is going to answer that brandishing a firearm call or the domestic dispute call. Not a single person mentioned is going to subdue the nutcase out there hellbent on destroying someone’s life. Not the chief, not the Cal DOJ, and sure the hell not Xavier Bacerra. Let’s give equal time to the guys out there actually protecting our asses. It’s high time to get to the SFPOA response to all these law enforcement issues. Way overdue. I’ll bet they’ll oblige and quite likely they’ll put it in layman’s terms. At least ask them for some insight. They are really, really, good at what they do. Readers can take it into account or not. i dont understand. 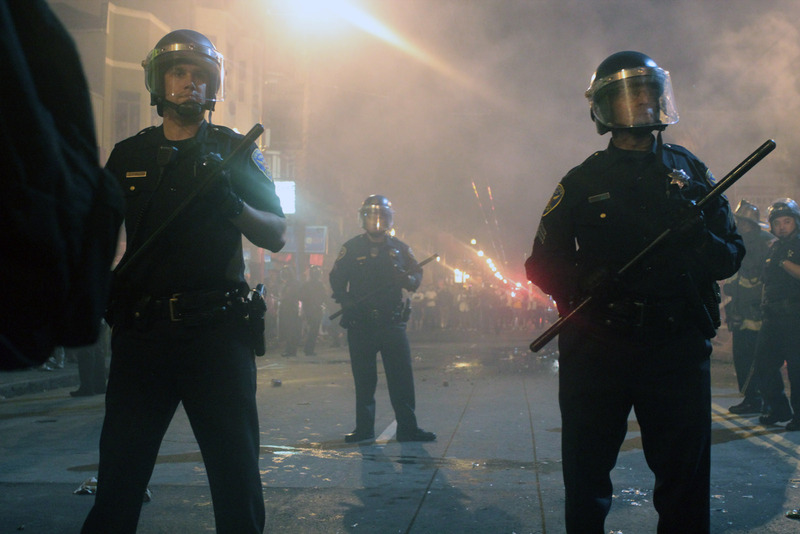 did the sfpd sign off on these reforms or did they not? does the poa oppose the reforms? are you saying these bodies, individuals cannot comment on or decide whether an officer violated department, not poa, procedures? are your u saying police men and women cannot be held accountable except by other cops? what asses were protected when cops shot and killed alex nieto? adolfo perez lopez? luis gongora pat? mario woods? I’m surprised and glad to hear that the California Dept of Justice is taking on issues that the federal Dept of Justice has abandoned. “Police reform” reform that was such a big issue during the Obama administration has disappeared from national discourse. The Trump administration reversed the Obama reforms and gave the green light to the most rightwing leadership in policing. It will take grassroots activism to keep the reform pressure on local police. At least California government can be lobbied.